In 2006 and 2007, I’ve been active from India after the VU4RG & VU7RG operations. I made a couple of QSO from a local VU station and yesterday, I received the LOTW certificate. The log has been uploaded immediatly. 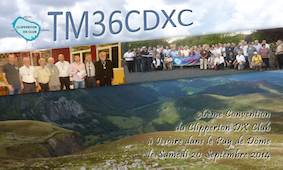 Gil F4FET m’a informé la semaine passée que les design des cartes QSL pour ses activités de juin ont été envoyé à l’imprimeur (QSL Concept). En avant-première, la face avant de TM0CEZ. 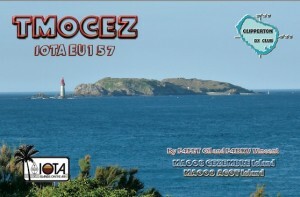 Yesterday evening, I finally received the logs from Gil F4FET. I will upload them on LOTW this week. 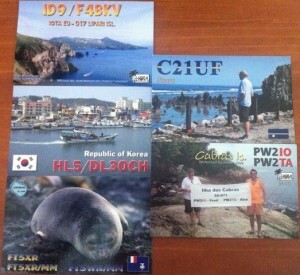 You can already ask for the QSL using the OQRS. 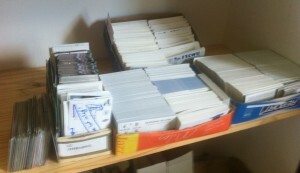 QSL are at the print office and as soon as I get them, I’ll reply to everyone. After a long work on the files, I just uploaded HK3TK log on LOTW. Now, as soon as I’ll received new files, I will upload them. in case of problem, please drop me a mail.